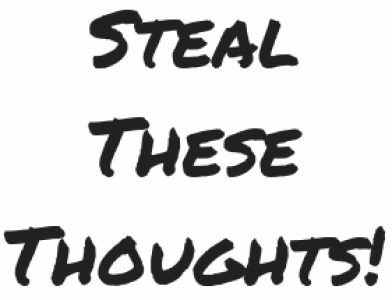 who am I – Steal These Thoughts! Full disclosure on the title for this one, it’s a lyric from Drake and stuck with me during a recent training session. It got me thinking about the Oscar Wilde quote in which he talks about a person is rarely comfortable in opening up to you in their own form, yet provide them with a mask and they will tell you the truth. It’s funny how we always encourage people to be themselves when they meet new people or attend a job interview, but applying this advice to our own life seems just as complex. Identity is a huge part of who we are. We spend copious amounts of time in our youth studying the personas around us, allowing us to try new identities all the time in the hope we find something that sticks. Some of us have rooted our identity in our careers, our families and our suffering, which of course can be quite unhealthy. Yet amongst this search for identity in the external world, we forget about what lies within. I find many of us do not make the time to explore the true self, the authentic voice that is us. Yes we look to those around us and the environments we operate in to help build our structure of identity, but we tend to ignore what lies within. Instead we use a false identity that we feel is cooler and will please the world and those around us more. I find no matter how long you try to make another persona or identity fit you, the authentic voice will always surface. To deny who you are is to question your very existence in some cases. A loss or not knowing what your identity is can be a very troubling feeling. It is not something you can sit down and determine in 5 minutes, it is something that will need exploration of the self internally and externally. Identity can be the guiding light for all, as it sets part of the framework for providing purpose and in creating our ambitions. Ultimately as Drake wrote, “You can be whoever you want, even yourself”. In this time of constant connection the world over and information overload where we all flutter from one trend to the next, it’s our choice to be whoever it is we want to be. But always know, you cannot deny your authentic self and we will only ever find conflict in false identities. Enjoy reading this? Subscribe for my newsletter to receive content like this every week. A in-depth exploration on building your operating system to engage with the world, your authentic voice and how your parents blueprint can sabotage you.